These bright coloured toys are sure to provide endless hours of imagination inspiring fun to any kid’s life. 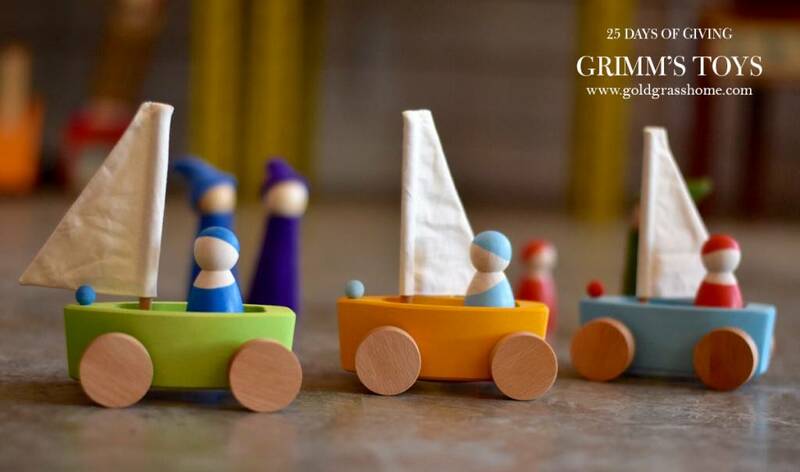 Handmade in small woodshops around Europe, these toys are beautifully crafted, 100% natural, and totally safe. Be sure to come on down today to take advantage of this special 25 days of Giving deal. You save. We donate. Kids love you. Everyone wins! We’ve raised the stakes for our 25 days of Giving campaign. By taking part, you’re not only getting awesome natural gifts for friends and family, and helping us support a great cause, you also get 10% off the daily feature, and now 15% of the sale will be donated to the Resolve campaign to end homelessness. And you’re also entering to win an Ultimate Spa Kit, valued at over $1000. It’s an amazing gift pack stuffed full of the world’s finest and most luxurious skin and spa products, bath linens and other goodies!